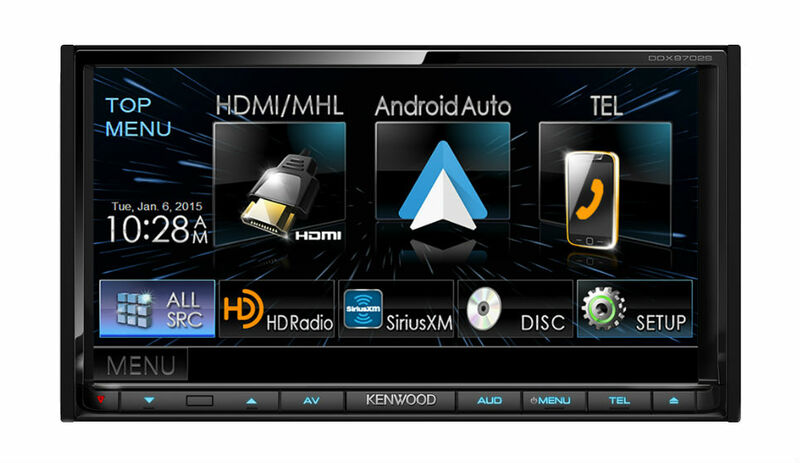 Back in January during CES, Kenwood introduced its DDX9902S and DDX9702S multimedia receivers, featuring CarPlay software from Apple and Android Auto from Google. These units are now shipping to retailers, according to Kenwood’s announcement this morning, with the suggested retail price set at $900-$950. Currently, the DDX9902S appears to be on Amazon for just $750, capable of running both Apple’s CarPlay and Google’s Android Auto. If you are looking for a solution to your car’s infotainment needs, $750 is not a bad price, plus whatever it costs to install the unit. Personally, I have rocked a Pioneer unit in my vehicle for about a month now, so be on the look out for a full Android Auto review sometime soon, which may help you decide if you should take the leap into Google’s OS for cars. Do you already have Android Auto installed in your vehicle? If so, tell us what you think about it.